Received the proof for the book Saturday. I’ll call this morning and give them an “ok to print.” I should have the books in a couple of weeks. I ordered shipping materials today. Still have to determine how much shipping cost will be. Also, have to determine how to get the automated pay process to charge tax for Virginia residents. Then I can make the book available to you. It won’t be long now! In the meantime I want to show you a few pictures to give you a better idea of what the book will look like. The size is 8.5 inches tall and 5.5 inches wide. It’s 3/4 of an inch thick. 285 pages, 19 of which are in color. I’m very pleased with the book. After I had the “proof” copy in hand I realized I had made some good decisions along the way. For example: The type size is a bit larger (12 point) than what you often see. 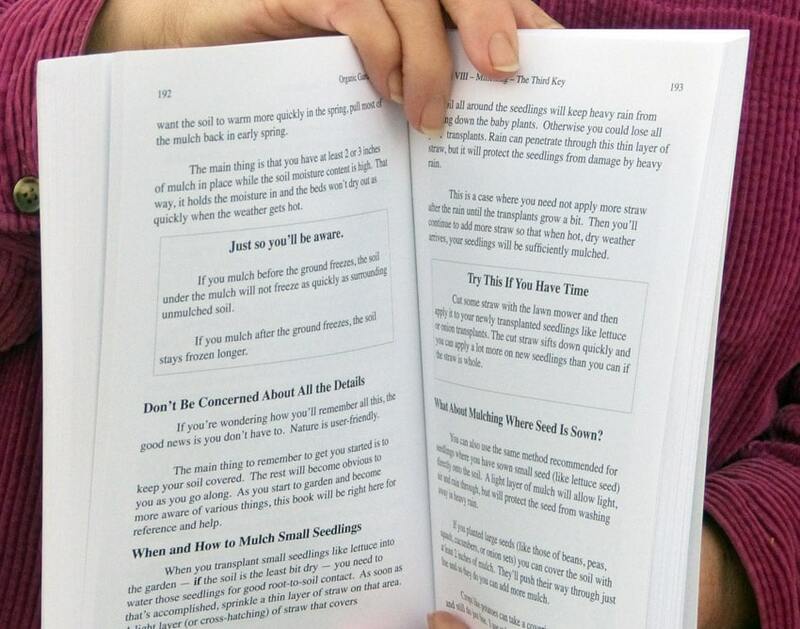 I don’t know about you, but even if I’m really interested in the subject matter, I have a hard time staying awake reading a book with large blocks of on-going tiny print. The paper is a beautiful smooth white that you’ll be able to highlight with a marker and/or make notes on. Here (right hand side) you can see how thick the book is. I wanted this book to be EASY to read and I think I’ve accomplished that. Everything is broken down into bite-sized pieces with their own topics even within chapters. Another thing I did that is not currently considered proper, I used the same type face for the body copy as I did the headings. I think it looks much nicer. I tried it the way that’s considered correct and I didn’t like it. I think you’ll enjoy it more this way too. The type is easy to read and the way it’s broken down makes it even easier. Out of 285 pages only about 19 are color, and they turned out very nicely as did the cover. Paper is smooth white and nice thickness. If you’re one that likes to highlight passages or make notes in the book, you’ll be able to do it. The paper is white, but the color from the table reflected onto the book in this picture. But this is a good example of how I designed the book. The cover will be laminated which will give your book some added protection from everyday use. Another good example of how I designed the layout. As I’ve mentioned, the paper is white but the table color reflected on the book in the picture. Nature’s way of doing things doesn’t go out of date. 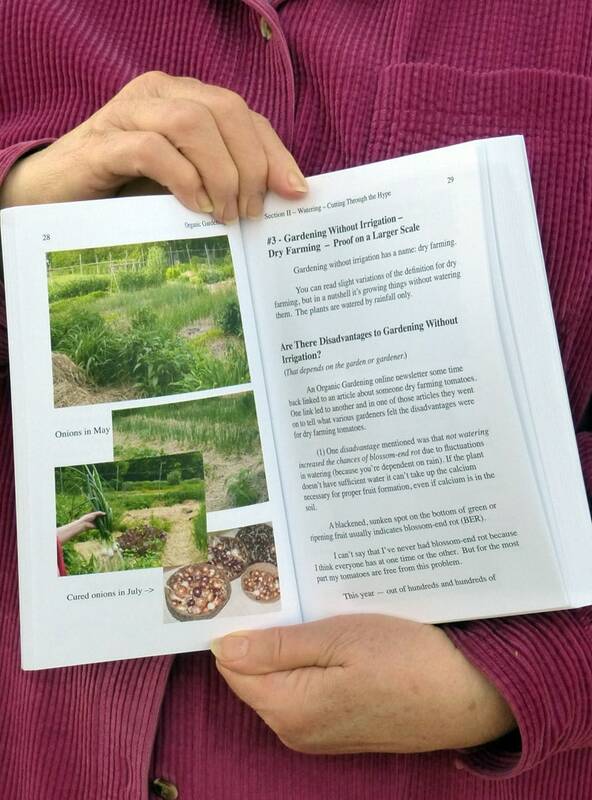 And since the 3 keys to success involve working with nature rather than against her, the book will be one you can hand down to your children when they start their gardens. It gives very simple information that doesn’t seem to be readily available. It’s the book I chose to write first, because I felt it would give the greatest benefit to the greatest number of people. 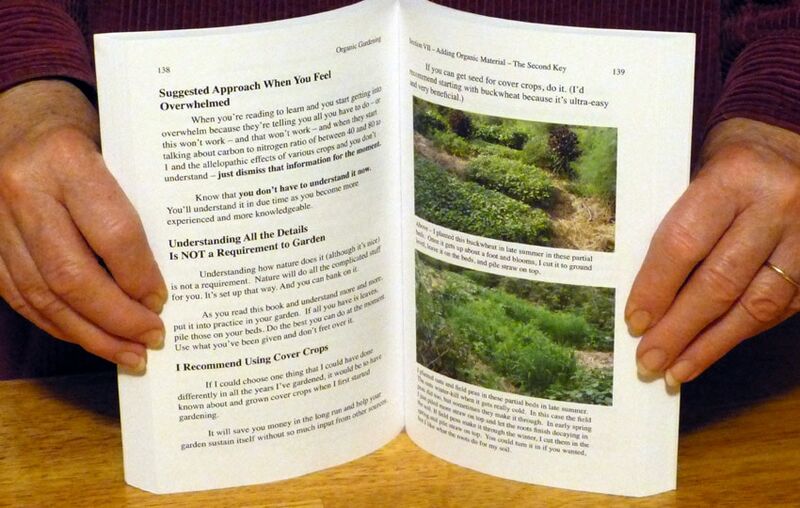 The information is here for gardeners to be successful without a lot of things to buy or learn. As I say on the back cover, the choice is theirs. If you’ve been reading TMG a while, you know that I know nothing about social media (Facebook, Twitter, etc.) and don’t do any of it. It would be a great way to spread the word, but at this time, it’s not something I know anything about. If you’re into social media, I hope you will help me let fellow gardeners and gardeners-to-be know about the book. Anyway you can think of to get the word out to folks will be greatly appreciated. The books back cover reflects a price of $28.95 which is what it will cost in book stores when I finally have the time to pursue that avenue. But to you and other readers of TMG, the price will be only $24.95. The next time I post about the book, I hope I will have everything ready to allow you to order. Thank you again for all your support and encouragement along the way. I couldn’t have done the book without you. Theresa, the proof looks FANTASTIC! I can’t wait to see an actual copy! Congratulations to you for all your hard work and perseverance! The book looks absolutely wonderful! You should be so proud and I know you are. Can’t wait to get one. will you personally sign copies? IT’S LOOKING GOOD AND I’M SURE THE CONTENTS WILL BE AT LEAST AS GOOD. HAVE YOU PUT ANY THOUGHT INTO SHIPPING TO CANADA? PAYPAL? I am jumping up and down! Can’t wait to get my copy!!! I cannot wait!!! I will be ordering one for me, my gardening son, and the leader of the newly started community garden group in my nearby town right off the bat. This leader is a good friend of mine and I have talked to her so much about gardening organically. But all she sees is the negatives and the perceived intensive work required in building up soil and picking off bugs. Actually until I met you that is what I also saw, but I was determined to succeed in gardening organically and I am very stubborn so I kept at it all those years. I think this book will change her perspectives and give good direction. I know your work has helped me immensely in my quest to garden more in tune with nature. Your book may help turn the tide toward more sustainable gardening for this group. I can already see the difference that a larger type size makes! Now I am just counting the days to get my copy! Thanks for letting us be part of this journey. It looks wonderful, Theresa! I am so excited to get a copy and share your new book with all of my friends. If there is one book that needs to be in every gardener’s library, I am certain that this is the one. Looks wonderful, congratulations. I can imagine how much work this entailed, standing at ready to order my copy! I’m so excited for you!! (And us!) Can’t wait to get my copy! It’ll be nice to have the info- I so often refer to here on your site- in one handy place. And, I can take it with me anywhere! Congratulation my gardening friend. So very happy for you and proud to have been a part of your wonderful website for several years. Now to see a actual “BOOK” derived from your hard work and help you have offered to us is amazing. May your accomplishments and success be all your heart desires. Happy gardening. This is a gift I am giving to myself! Can’t wait! Good for you Theresa, and thank you for all the hours you put into the book. Getting that look at the book, put a smile on my face. I love the size, and know I will love the book. It will go with me each time I go to the garden, since I need help every day. I can hardly wait, but I will. Finding these wonderful responses to the book really gave me a boost this morning. I’m really glad you think the book looks good and I think you’ll even be more excited when you have one in your hand. Sue T – all that proofing paid off. I love “hearing” you say it looks fantastic! Beppy, I can hardly wait to get a book to you. And by the way your experience with residual herbicides is mentioned in the book. Kate, I’m so pleased to have you reading and commenting on TMG. Especially at this most exciting time! And yes Jack, I will be delighted to sign copies. Just let me know when you order. Ray, I’ve sent a personal email to you telling you all the details on shipping to Canada. I plan to use Pay Pal because they also allow folks to pay with either paypal or a charge card if they want. So it will be very convenient for most. Pat, your excitement is contagious! So glad you feel that way! Cynthia, your attitude and perseverance brought you to success in your garden and that will just continue to increase for you. If your friend adapts that same perseverance and great attitude, this book will make a tremendous difference for her. Aparna and Toni, I was thrilled that you both mentioned seeing the difference that the large type size makes. Not needing a magnifying glass to read and/or not having to save your place with your finger in a large block of small type really makes reading and learning more enjoyable. Thank you for letting me know and letting me know that you are excited about the book. Bearfootmama, I’d love to be able to get to folks to give them the opportunity to have this book in their library. If they want help, this book will give it to them. Hi Barbara. 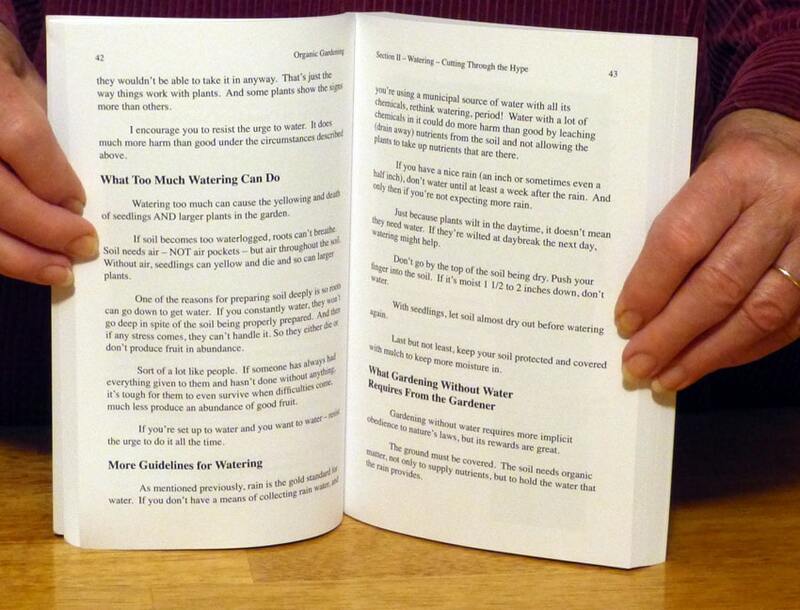 Nice to have you reading TMG and glad you are standing at ready to order. (Love how you put that!) Won’t be long now. Pam, I agree that having a lot of the information in one handy place is gonna to be great. The book is so easy to read and the information easy to find. Thank you for your support, enthusiasm and excitement. Alice, you are indeed very much a part of TMG. I so appreciate all your input and your friendship and all your good wishes. Suzanne, you’ve already previewed the section on Mulching which is one of largest parts of the book. Glad you’re going to give yourself the book as a gift! Beverly, glad it put a smile on your face. Hope you’ll enjoy reading the book in the garden and out. Jack, I hope when Ellie grows up she will consider the book an heirloom that belonged to her Grandpa! I sure appreciate your previewing the section on Compost and giving me such great feedback and support. Can hardly wait for you to have a book in hand. I feel a certain since of relief (and so does Bill) that I’ve come this far, but it’s easy to get bogged down in all the details of shipping and promotion that still have to be done to help get the information out to the public. I absolutely have to give priority to income tax returns and then finishing up jobs that need to be done in the borders and garden. I still have several more posts I’d like to get up for you before the season is in full swing. And I have what I think will be a great letter that I want to send to the special 100 list as soon as I finish it. Thanks to all for such wonderfully supportive comments. When you have your book in hand, think of me there gardening with you! For me, life doesn’t get any better than knowing great folks like you! I love it already, Theresa. Looking forward to getting my copy! Good for you Theresa. The book looks great. So happy it turned out the way you wanted it. Great job, what a treat you will be able to hand down to future generations. I am beginning to feel like I have known you many years as opposed to just seeing your site last fall. I think your style makes people very comfortable. I am sure your book will do the same. Not to mention all the expertise you share. As for social media I happen to be pretty much the same I don’t do it. I will promote you and your book as much as is practical. Maybe you will sell millions and be a best seller. We can hope as much. Ma. I am in Nigeria and would like to buy a copy of the book. I have been following your blog and it is complete. Edema, I have sent a personal email to you with costs for shipping and telling you how to order. CONGRATULATIONS! What WONDERFUL news about your book! 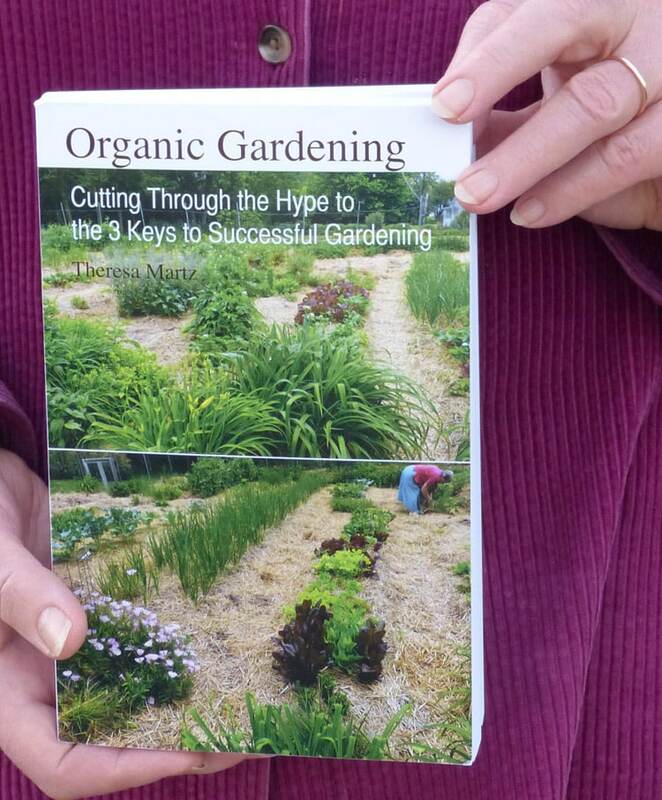 I can’t wait to order several copies–one for myself and one for our community garden. Out here in Santa Fe, NM, there is NO water, so mulching/composting/water collecting–as you discuss in your book– are all important topics for any possibility of success in our high desert gardens. So looking forward to reading your book. Many thanks to you for your wonderful TMG columns over the years. Thank you Lynne, for taking time to post your comment. I really enjoyed it. I know to garden in your area is even more of a challenge than many other places. Fortunately, it can be done and you’re doing it! I know it takes persistence. I think you will enjoy the book. The 3 keys to successful gardening are very practical and down to earth (as you know) and this book covers those 3 simple keys in more detail. I’ll look forward to your order. And especially I’ll look forward to hearing how you like the book.